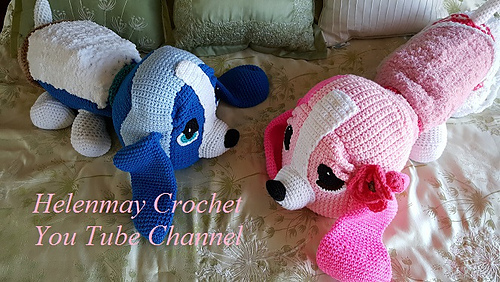 The written pattern includes step-by-step how to make the crochet Hound Dog. 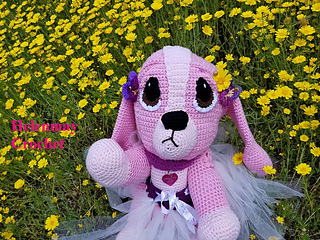 The written pattern also includes a new crochet stitch for the dog collar and how to make the Crochet Tutu Skirt. 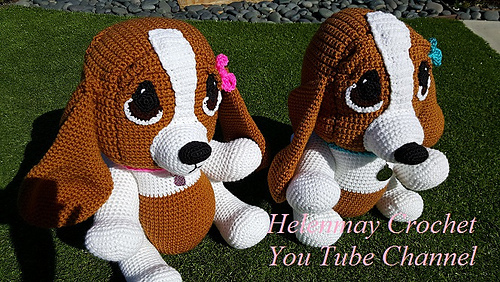 There is a step-by-step YouTube video tutorial for the Crochet Hound Dog. The written pattern includes step-by-step how to make the crochet Pansy flower, which is not included in the YouTube video tutorial. 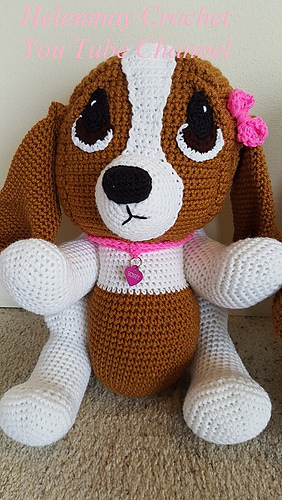 You will love the pictures that I include in the written pattern to assist you in making your adorable crochet Hound Dog.